David Foltyn has been re-elected as its chair and CEO of the Hongiman and Alan S. Schwartz was re-elected as the firm’s vice chair. In addition, Michael DuBay, Michael Hindelang, Jason Rosenthal, and Linda Wasserman have been elected to the firm’s board of directors. Foltyn counsels publicly and privately held businesses, boards of directors, and financial service firms in corporate mergers, acquisitions, divestitures, financial transactions, public offerings and private placements of securities and debt. He also advises clients on applicable state and federal corporate governance laws. 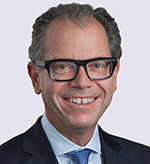 Schwartz advises family owned businesses on general business matters and succession planning; represents clients in acquisitions and dispositions; counsels companies regarding corporate governance, as well as state and federal compliance issues; and serves as general counsel to family businesses and other private companies. DuBay is a leader of the firm’s private equity practice group. He represents the unique needs of traditional private equity and venture capital sponsors, family offices and independent sponsors in their acquisition, financing, investment, and disposition activities. Hindelang is leader of the firm’s data security and privacy litigation and its eDiscovery and information management practice groups. He is a commercial litigator with substantial experience in the securities, corporate governance, and corporate investigations arenas and in high-stakes cases where significant monetary amounts or prominent reputations have been implicated. Hindelang also advises business entities on data security issues, including responding to data breach incidents, and leads privacy litigation matters. Rosenthal represents businesses in complex litigation with a particular emphasis on insurance recovery litigation and counseling. He will continue to serve the firm as its Chicago office managing partner. Wasserman, provides personalized and sophisticated estate planning and family wealth succession planning for high and ultra-high net worth individuals and families, focusing on tax planning in the context of accomplishing each family’s unique goals.